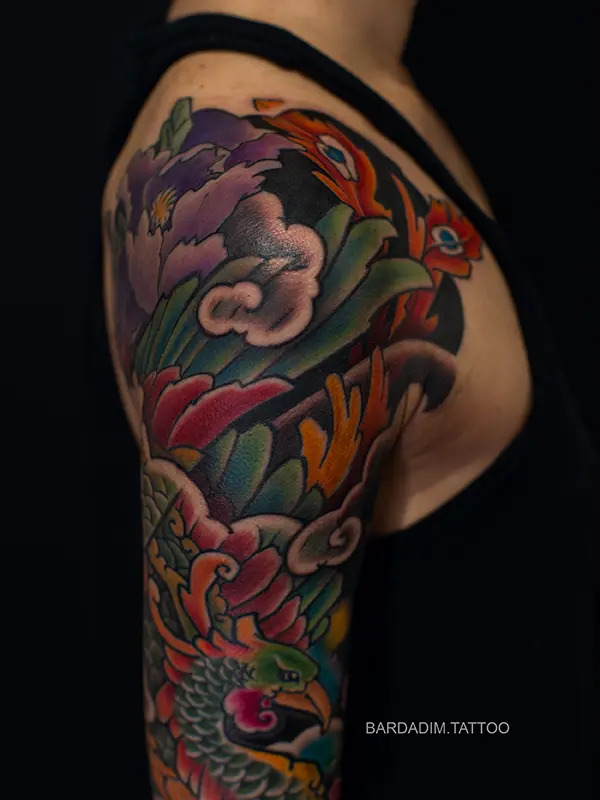 Female Japanese Sleeve Phoenix and Peonies Japanese Tattoo. 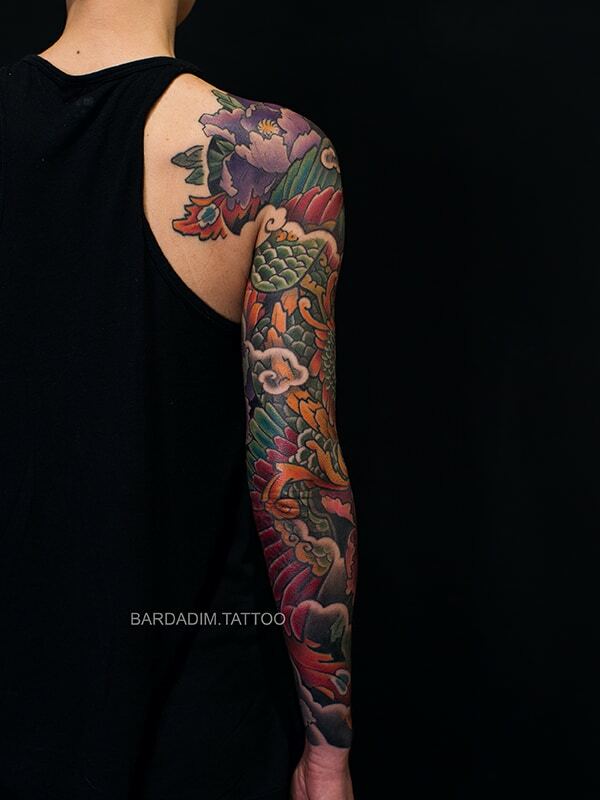 This sleeve also a massive cover up of old tattoos and scars. In case of “cover ups” artist have to be very careful and in case of covering a scar he or she has to be twice careful as scars are not regular skin, it may not “take” the ink it may heal bad etc. Usually takes several passes of deep colouring. HOU-OU or PHOENIX in Japanese Tattoo. Phoenix Japanese tattoo. Probably the most important of the mythological birds, its unmatched splendour and the immortality it derived by rising from its own ashes. Its name comes from the Greek word for “red”, the colour of fire and it came originally from Ethiopia and thought to appear only once every 500 years. In ancient China, the feng-huang bird was able to unite both yin and yang and was used as a symbol of marriage. In some versions of its story, it flew to distant lands gathering fragrant herbs which it returned to its altar, setting them afire and burning itself to ashes -rising three days later. In other versions, when the time of its death would draw near, it built a nest of aromatic twigs in which it would burn, simply from the heat of its own body. Tattooing the phoenix is done from different times of it existence, thus not always on fire! Bookings are open for Sept-Oct. But consultations can be done within next few days. 1. Please check up portfolio ones more, just to be sure that the style of work is compatible to your tattoo idea, I wouldn’t be able to help if it’s not. 2. 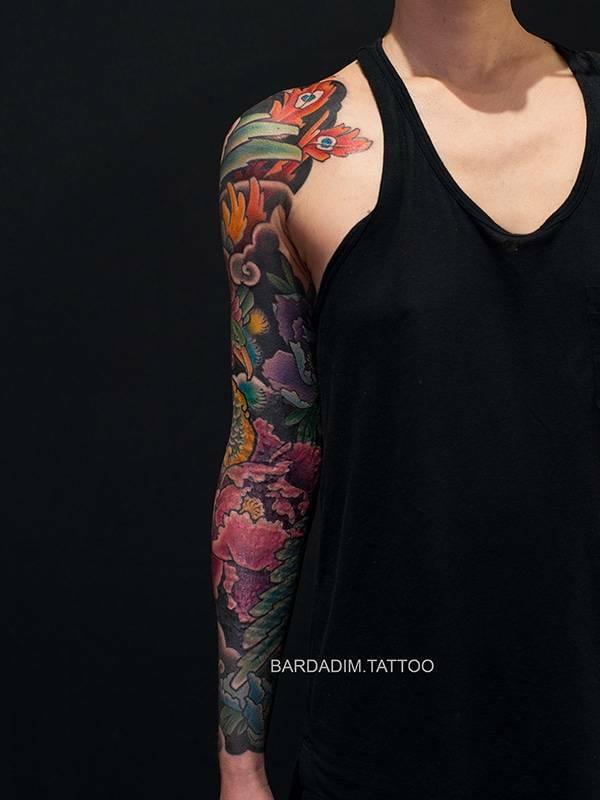 Collect reference pictures to clearly illustrate your tattoo idea in the best way. Please note: I work by custom only. Photos of someone else’s tattoos can only be used as an example of desired tattoo style. Absolutely NO copying of other peoples tattoos or parts of that tattoos! 3. I only take consultation bookings via e-mail, please send detailed conceptual description of your tattoo idea, including approximate expecting size, body part, left or right side etc. Please attach all images you have collected. The more useful information you can provide, the quicker your actual consultation can be scheduled. I work only in styles represented in my portfolio and absolutely serious about results of my work, that’s why I’m always really selective on what to do on skin. For instance, I never make letterings, sorry about that. Please, set up your consultation appointment only if you strongly believe that I can do what exactly you want. 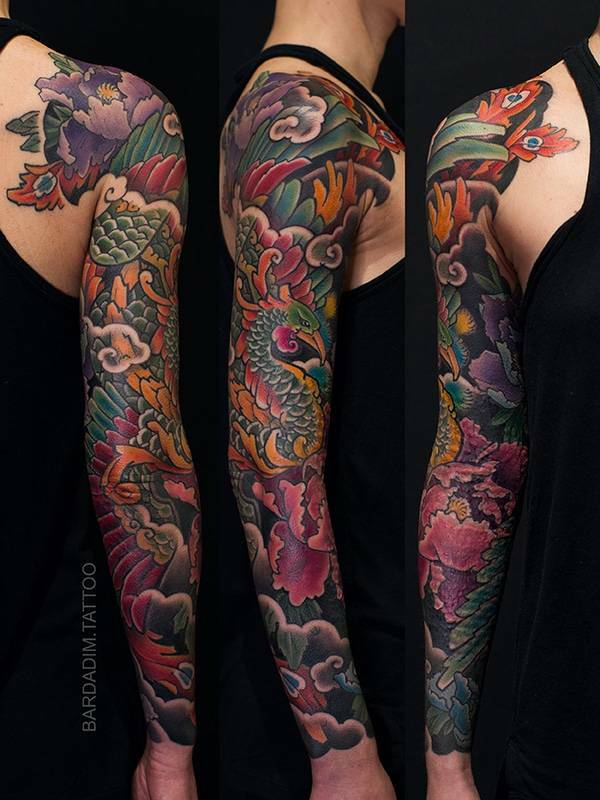 Female Japanese Sleeve Phoenix and Peonies Japanese Tattoo. 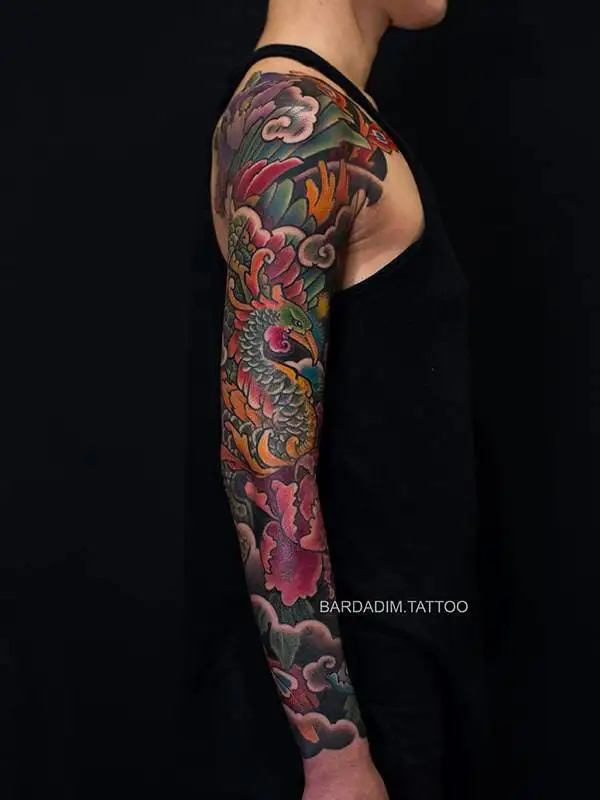 Done at Bardadim.Tattoo, Brooklyn, NYC.